BEIRUT (AP) — A top U.S. State Department official visiting Lebanon said Tuesday that the new government in Beirut needs to make tough decisions as it tackles widespread corruption and a crumbling economy, in addition to ongoing security issues. 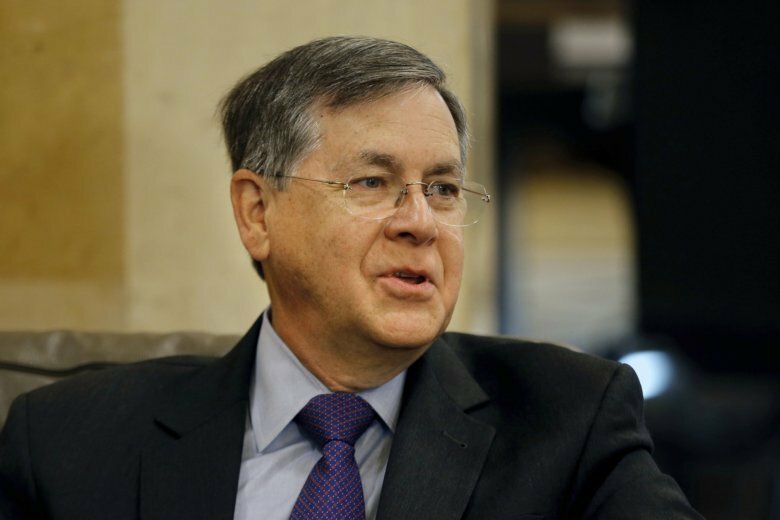 David Satterfield, acting assistant secretary of the Bureau of Near Eastern Affairs, said Washington is looking to support the Lebanese people as they move their country forward, but warned against increased Iranian influence. The eight-year war in neighboring Syria has deepened Lebanon’s economic woes, which include high unemployment, meager growth and a soaring public debt of $85 billion, or 155 percent of the gross domestic product. Some 1 million Syrian refugees make up a quarter of Lebanon’s population. Lebanon’s powerful Shiite militant group Hezbollah, which is backed by Iran, made significant gains in last year’s parliamentary elections at the expense of the largest Sunni party headed by Prime Minister Saad Hariri. Satterfield met with Hariri on Tuesday along with Foreign Minister Gebran Bassil and the leader of the right-wing Christian Phalange party, Samy Gemayel. In January, Lebanese political factions agreed to form a new government after the country’s first parliamentary elections in nine years. The U.S. has expressed concerns about Hezbollah naming a health minister and two other posts in Lebanon’s Cabinet and called on the new government to ensure the ministries’ resources do not provide support to the organization. This story has been corrected to fix the title of the U.S official to Acting Assistant Secretary, Bureau of Near Eastern Affairs David Satterfield.